We offer different formulations for foam compounds depending on the product applications and processing window. 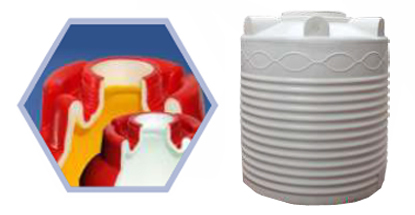 We are specialise in manufacturing Foam compounds for Rotational molding. We have different grades designed for specific applications. We can customise formulations required for new apllication. Most important aspect of our offering is we offer total technological solution. Which helps customer to launch the product in market in shortest possible time. Ready to use LLDPE based foam compound formulated with a blend of Chemical Blowing Agents suitable for rotational moulding. 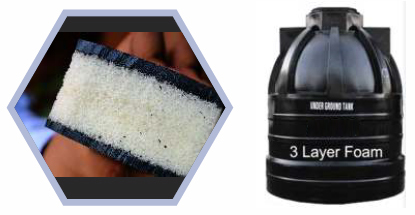 The grade EasyFoam EF-01 is specially blended to match moulding conditions of Multi Layer Water Storage Tanks. • Insulation : Excellent Insulation Properties. • Light Weight : Higher Stiffness at lower Cost. • Composite Layers : Strong Bonding Between Layers. • Easy Process : Use Existing Equipments. Multi Layer Insulated Tanks, Underground Tanks, Ice Boxes, Pallets, Furniture Products, Marine Products , Fish Boxes, Floats & Structral Products. 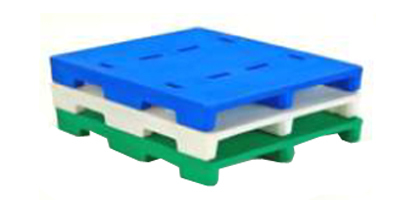 • Food grade Foam material also available.